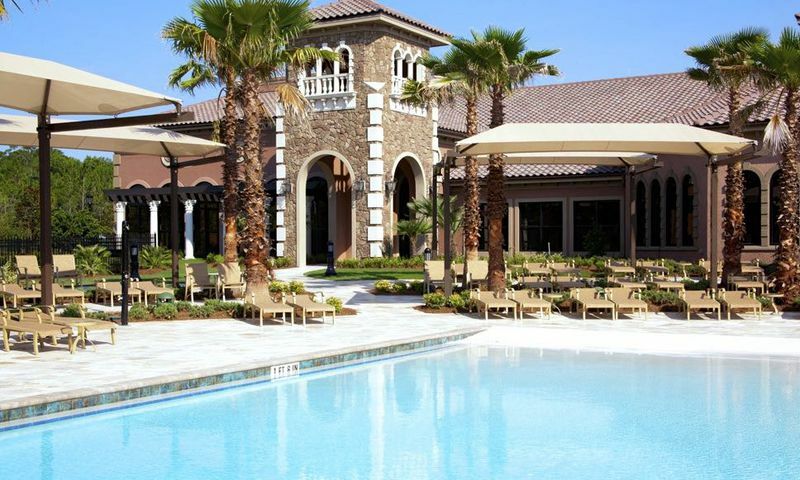 Del Webb Tradition is a new 55+ community being developed by award-winning builder Del Webb coming to Port St. Lucie, Florida. Upon completion, this age-restricted community, which will be a part of the larger Tradition master-planned development, will sit upon 205 acres in the beautiful Treasure Coast area. Residents will be able to enjoy resort-style amenities at the spacious clubhouse as well as the abundant sunshine and pleasant coastal Florida climate. Current plans call for a resort-like clubhouse staffed by an on-site lifestyle director to assist residents in making the most of the available amenities. Proposed amenities include a state-of-the-art fitness center as well as an aerobics and dance studio. Multi-purpose rooms will be available for club meetings in addition to gathering spaces for larger events and holiday parties. Del Webb broke ground on this active adult community in 2017 and plans to offer 550 attached and single-family homes upon completion. Homebuyers will be able to choose from a great selection of six innovative home designs. The attached villas in this community will be 1,579 square feet and will include two to three bedrooms, two to three bathrooms, and an attached two-car garage. The single-family homes will range from 1,671 to 2,589 square feet and will include two to four bedrooms, two to three bathrooms, and an attached two-car garage. Occupying 205 acres in beautiful Port St. Lucie, this 55-plus community is ideally situated near both daily conveniences and the scenic Atlantic Coast. There are five 18-hole golf courses located within ten miles of the community, allowing active adults ample opportunity to hit the links while staying close to home. Tradition Square shopping center with a Publix grocery store, Target, banks, restaurants, and retail stores are all just a short three-and-a-half mile drive north along Village Parkway Drive. West Palm Beach, with some of the best shopping, golf courses, and restaurants in the region, is a 40-minute drive south on I-95. For long distance travel, Palm Beach International Airport offers both domestic and international flights. Del Webb Tradition is sure to provide everything active adult homebuyers could want or need in beautiful Port St. Lucie, Florida. There are plenty of activities available in Del Webb Tradition. Here is a sample of some of the clubs, activities and classes offered here. Attached villas will be 1,579 square feet and will include two to three bedrooms, two to three bathrooms, and an attached two-car garage. Single-family homes will range from 1,671 to 2,589 square feet and will include two to four bedrooms, two to three bathrooms, and an attached two-car garage. We found Kimberly Kirkman to be very personable,professional and knowledgeable in her field. she always returned our calls promptly and got the answers we needed. I would recommend Kimberly to anyone looking to buy in a 55 plus community. We give her a 10 plus. 55places.com is not affiliated with the developer(s) or homeowners association of Del Webb Tradition. The information you submit is distributed to a 55places.com Partner Agent, who is a licensed real estate agent. The information regarding Del Webb Tradition has not been verified or approved by the developer or homeowners association. Please verify all information prior to purchasing. 55places.com is not responsible for any errors regarding the information displayed on this website.